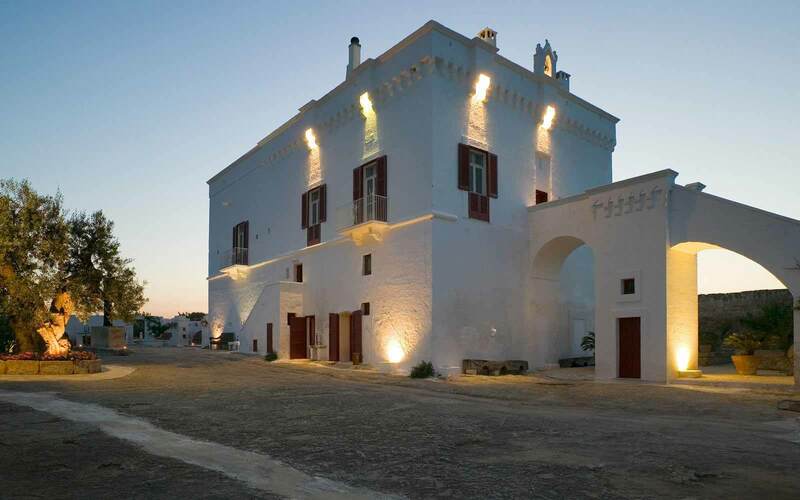 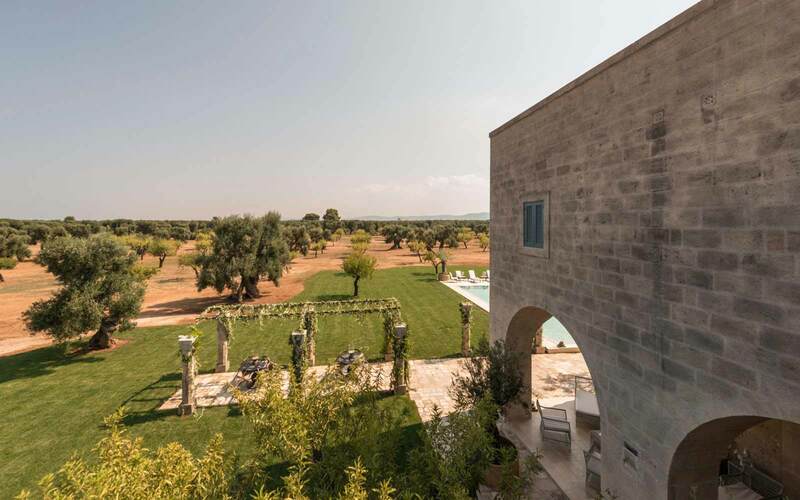 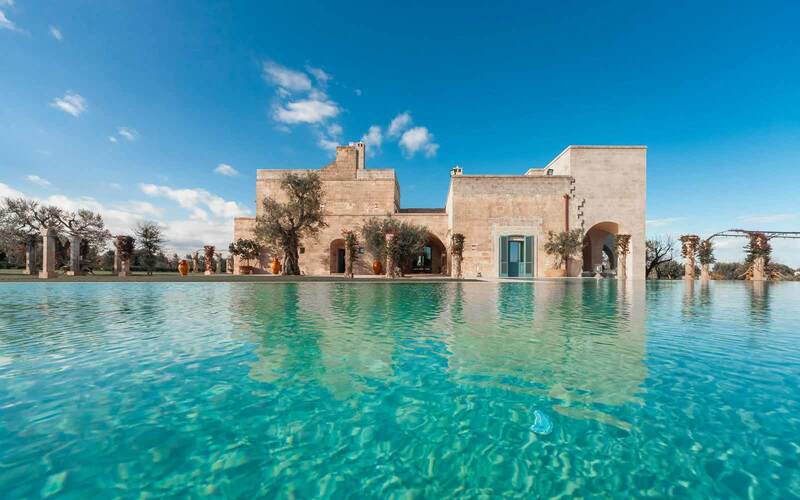 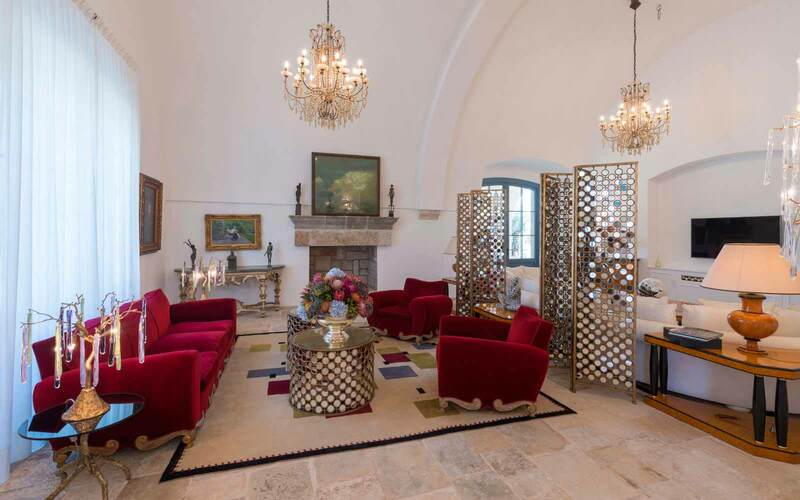 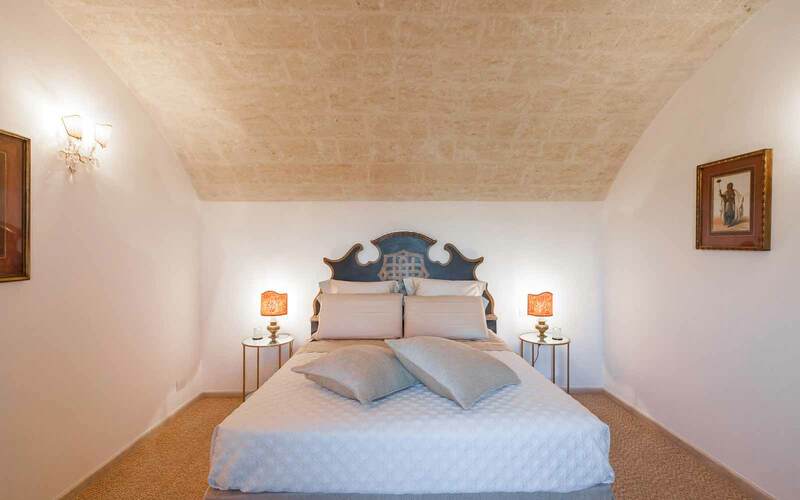 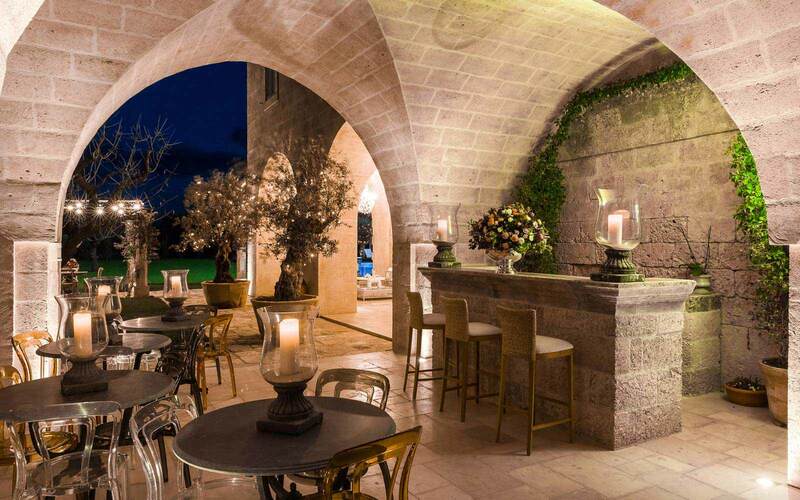 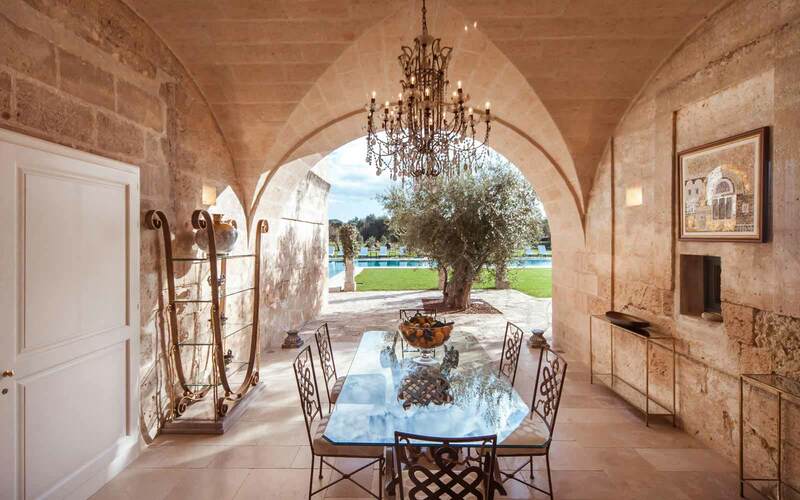 La Residenza of Masseria Pettolecchia is a private luxury villa located on the beautiful countryside of Puglia, overlooking centenary aged olive trees groves. 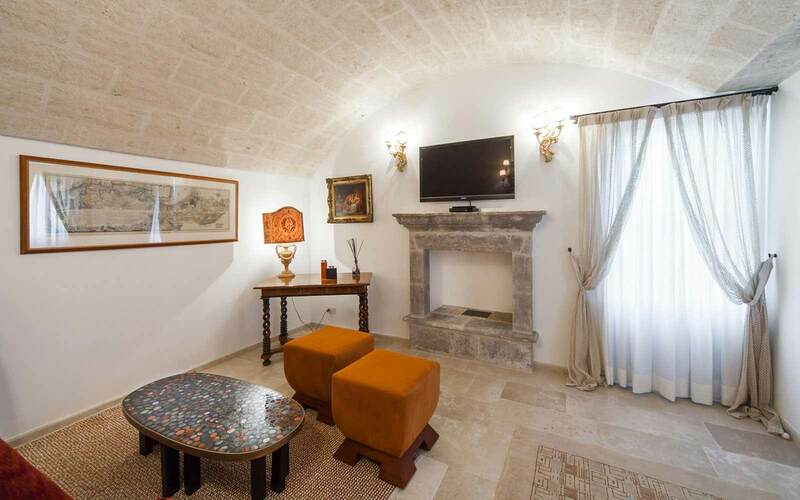 Build by a local noble family has been recently renovated and totally refurnished to the highest standard. 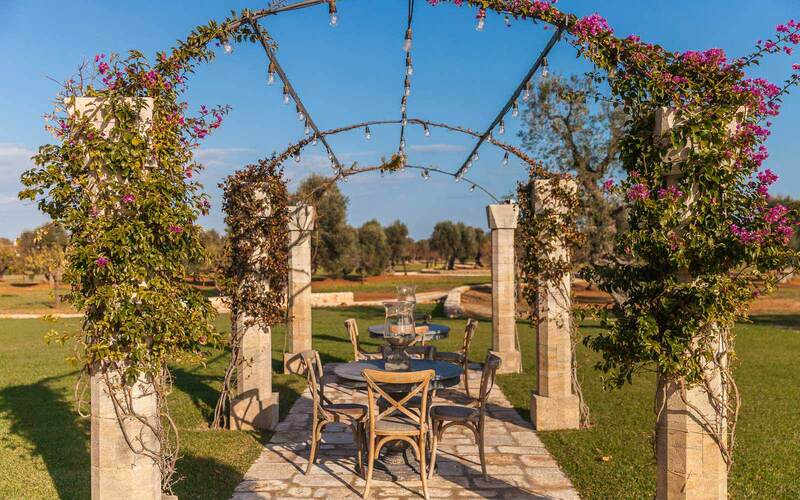 The rural setting within eight hectares of private land full of majestic olive and almond trees guarantees a total peaceful holiday, yet just a short drive from the seaside and charming little town of Savelletri di Fasano. 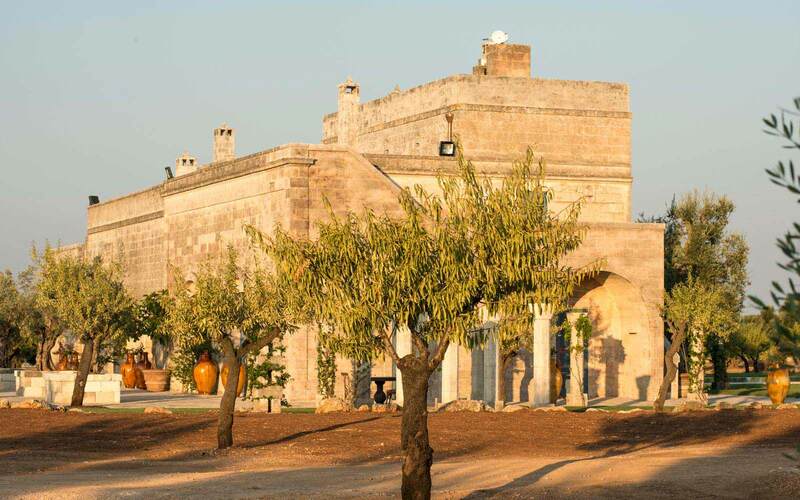 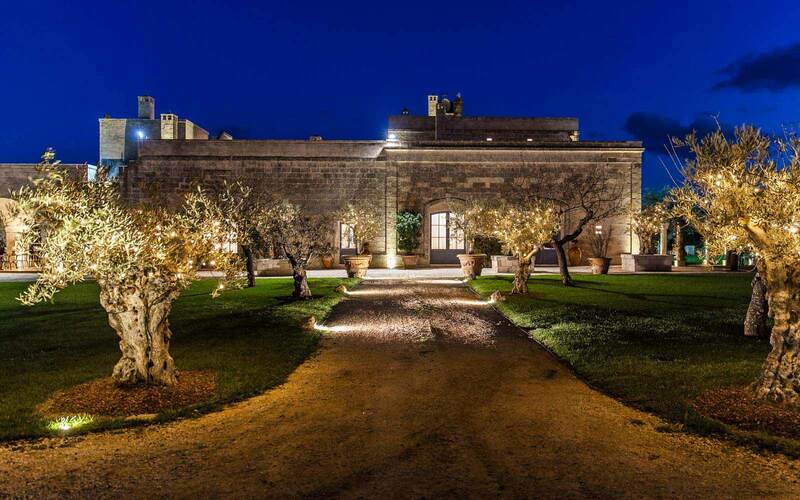 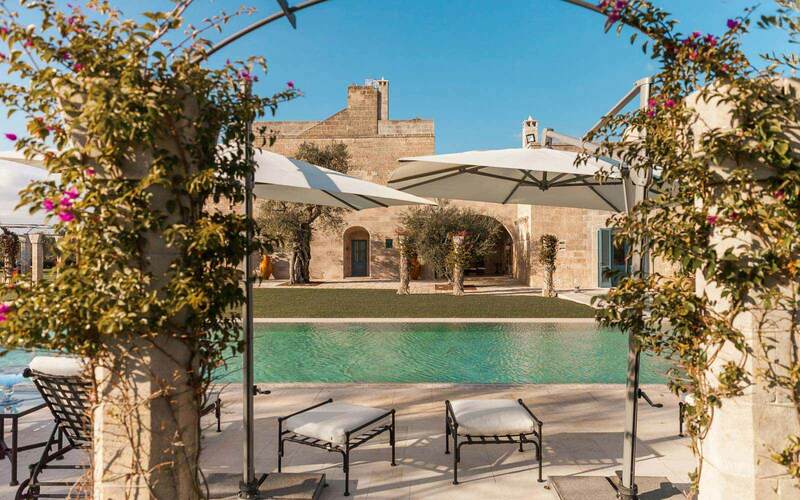 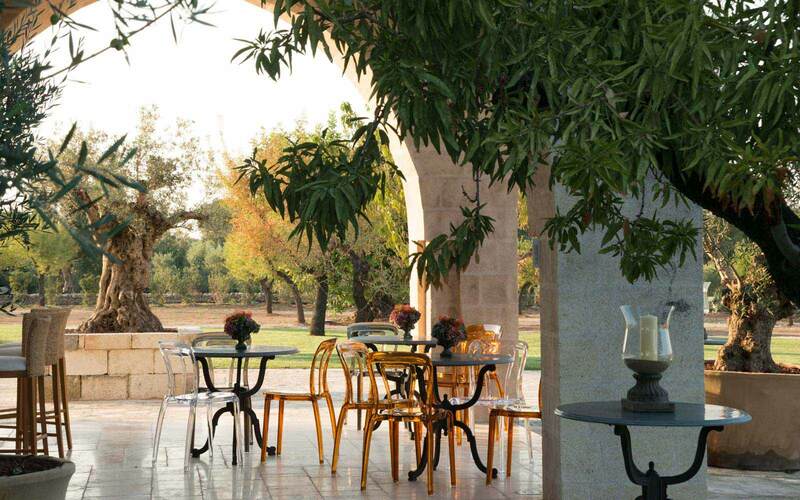 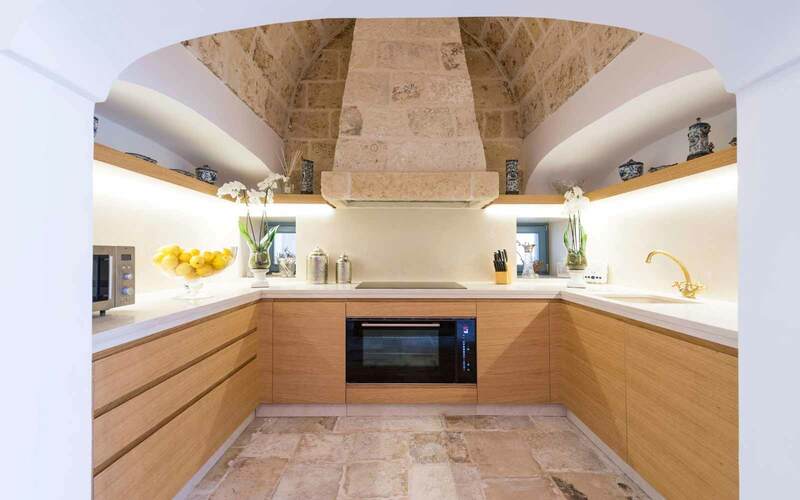 La Residenza is set in the middle of "La Piana degli Ulivi Secolari", one of the most glamorous and beautiful areas of Puglia, where all the olive trees are aged between 100 and 1000 years old and are individually tagged and protected. 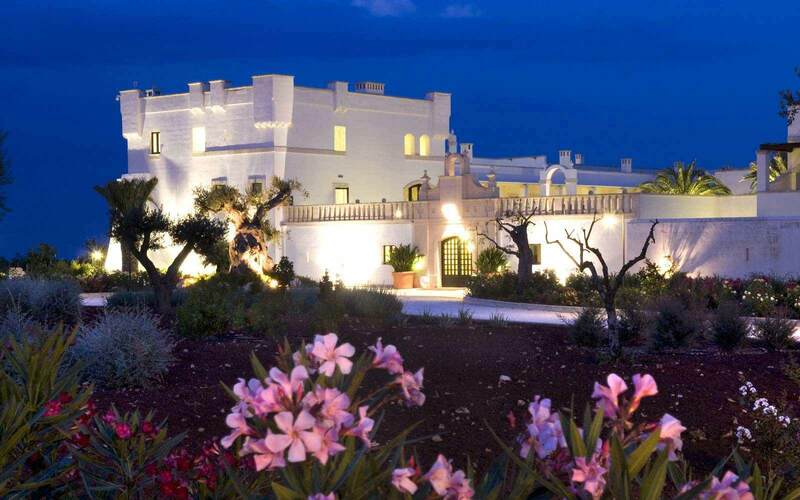 The Villa, which is approx. 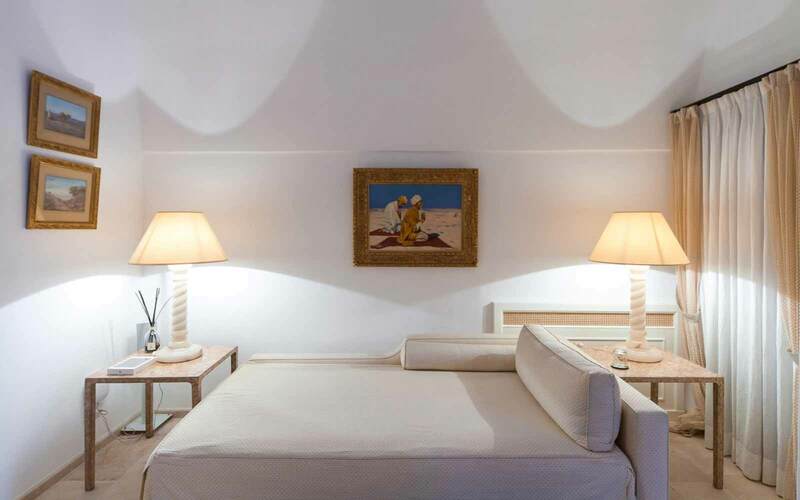 500 square metres, offers an historical and cultural value with 5 suites on two floors plus panoramic terraces and a large pool. 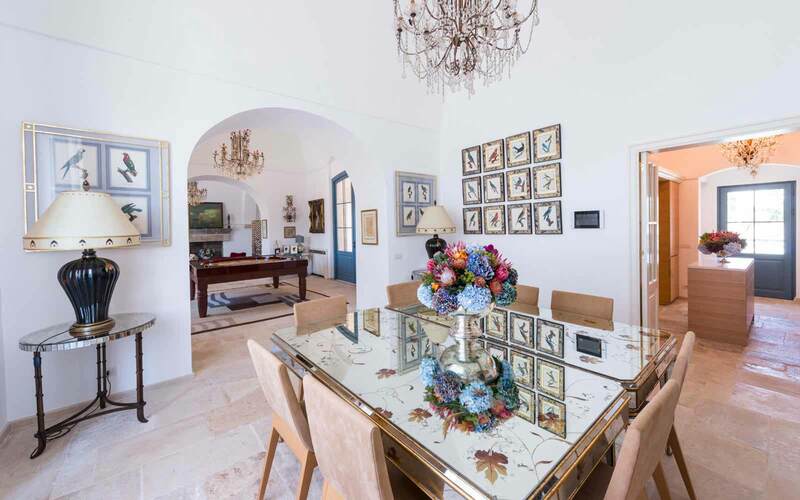 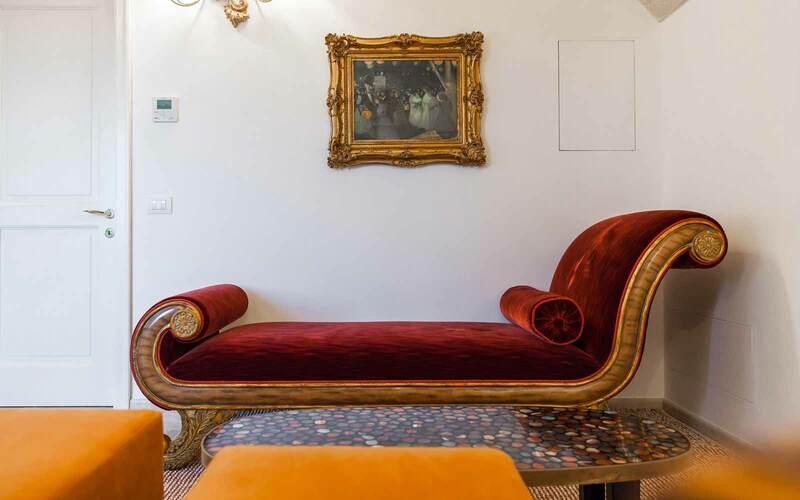 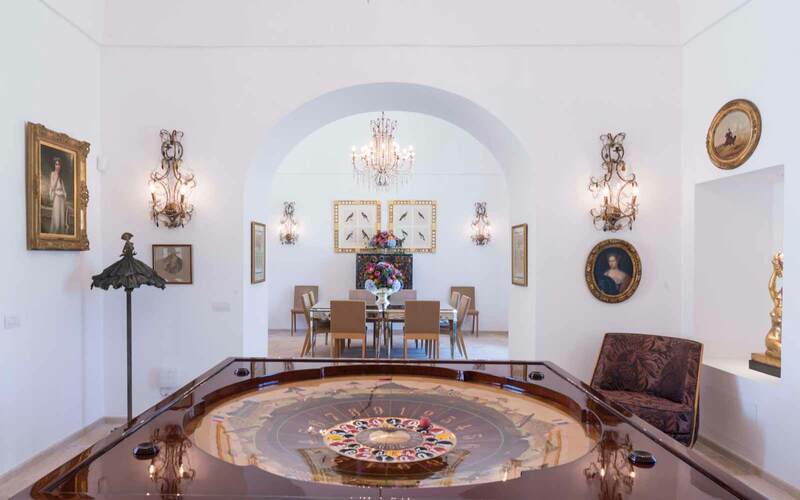 Furnished with very high quality antiques, paintings and sculptures, the villa has been carefully placed to create a warm and comfortable atmosphere ideal for wedding or private events. 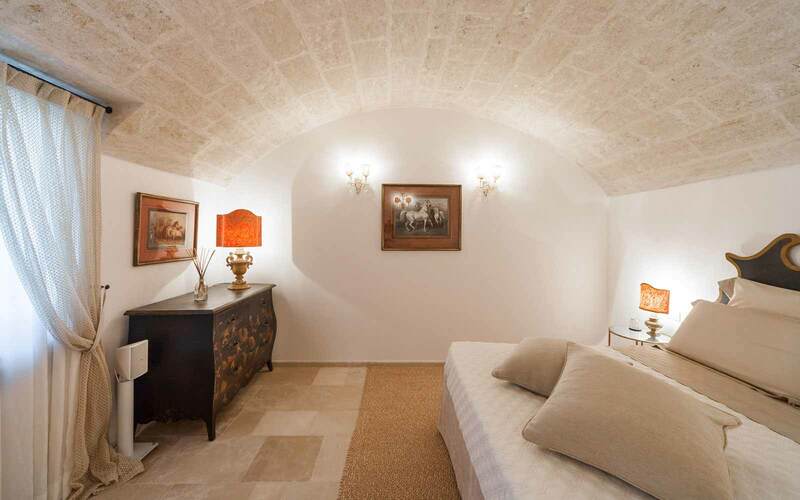 La Residenza can accommodate maximum 10 people and welcomes adults only guests. 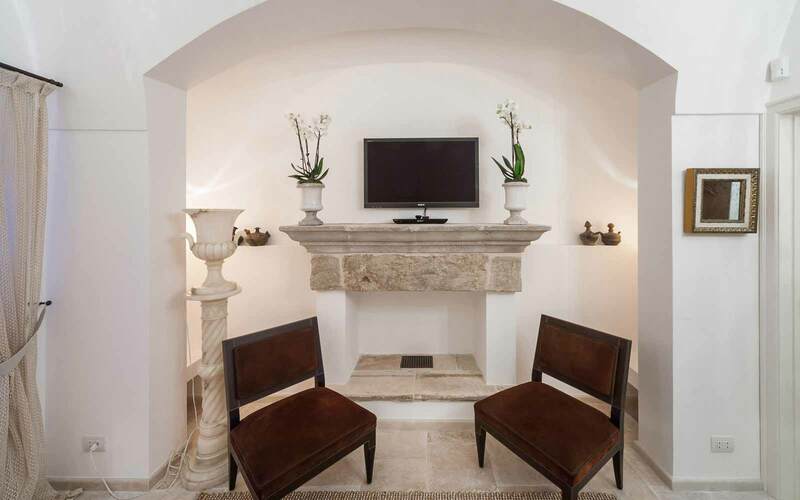 Each suite has independent entrance. 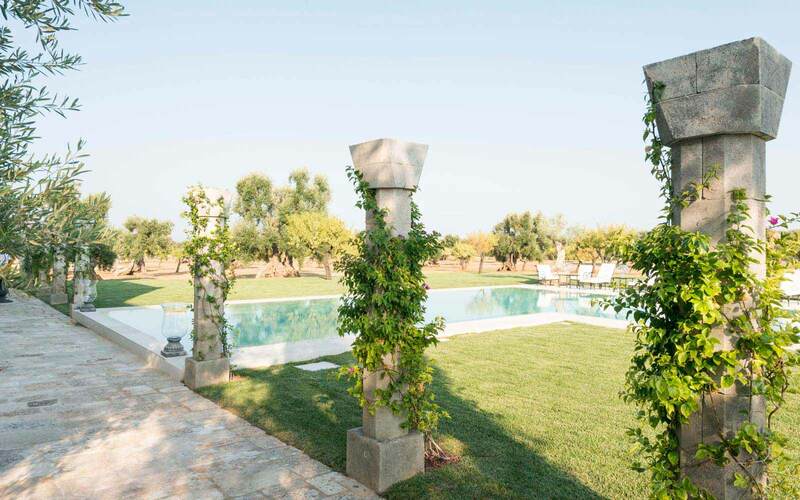 The 3 suites on the ground floor have access to the surrounding garden and swimming pool. 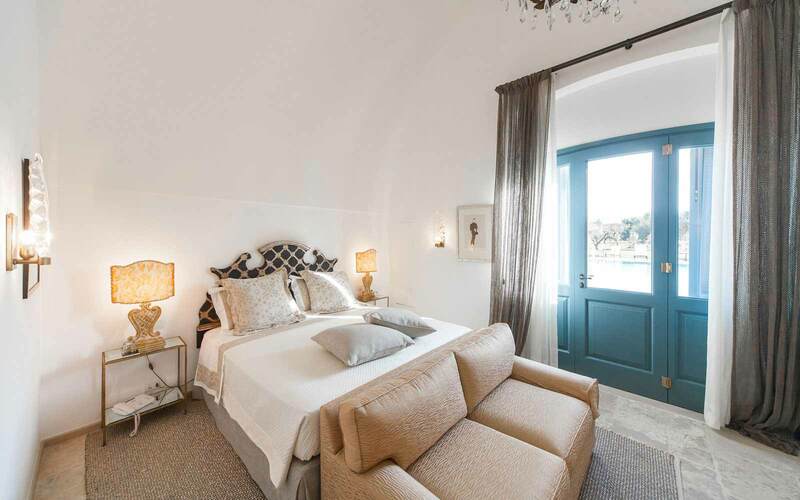 On the first floor, the 2 suites have a large private terrace and magnificent sea view. 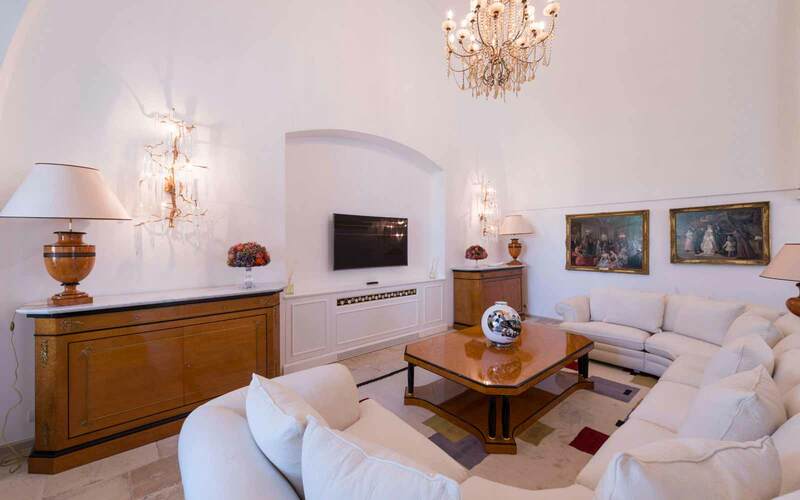 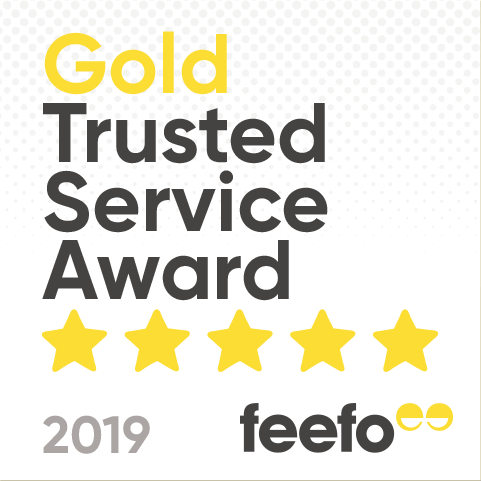 Butler service, wifi, daily maid service, night security guard, international satellite TV, air conditioning and automatic touch screen electric system. 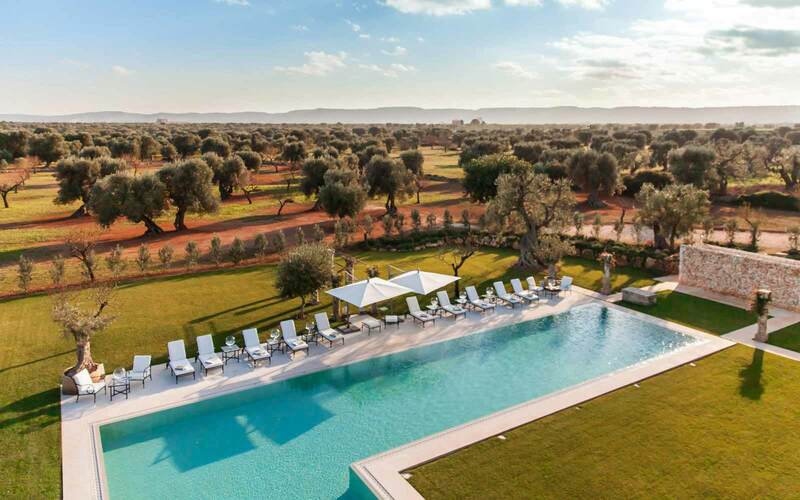 The whole area is provided with a multiroom sound system extended to all spaces, including external and pool area.